It has now possible to archive logging data in a flash memory inside the CTD-SRDL tags, so that when the tag is recovered after a deployment, the whole dataset can be retrieved. Elephant seals typically perform more than 60 dives every day. This opens new and exciting potentialities in terms of ocean observation. 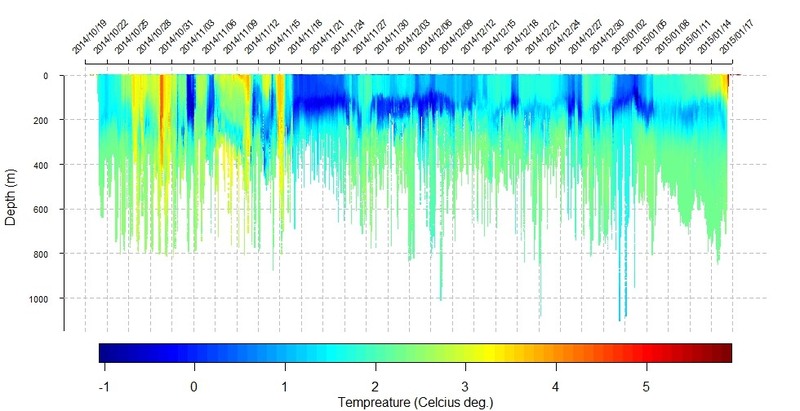 Here we present some preliminary results from a CTD-SRDL tag deployed at the Kerguelen Islands by Christophe Guinet (CEBC/CNRS, France), and that has been recovered on land after the deployment period. Several similar tags are being recovered right now. These data are yet not available publicly from this website, but they can be obtained on demand. 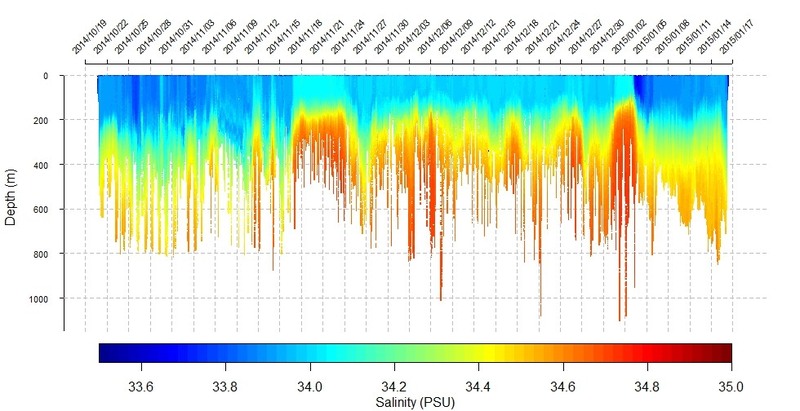 Temperature and salinity sections obtained by recovering a CTD-SRDL tag at the Kergulen Islands. Data owner: Christophe Guinet, CNRS, France.